As the first cruise provider to boast a private island and offer air-sea programmes, it's fair to say Norwegian Cruise Lines are pioneers in the cruise industry. 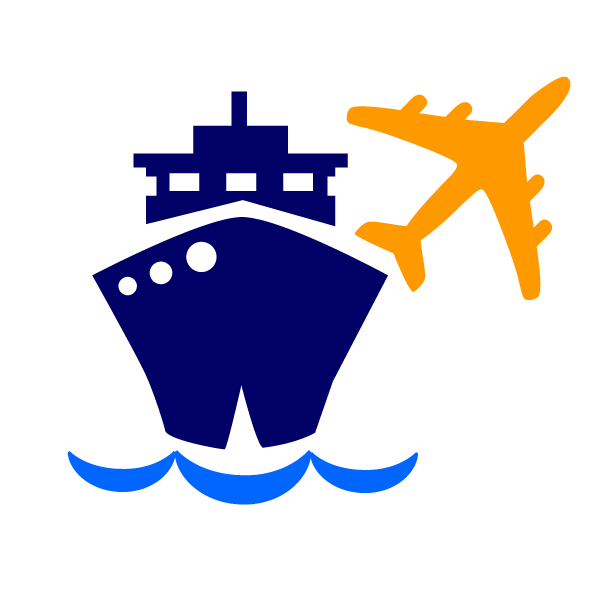 They keep up with that reputation today, constantly adding new and exciting destinations to their wide range of itineraries. 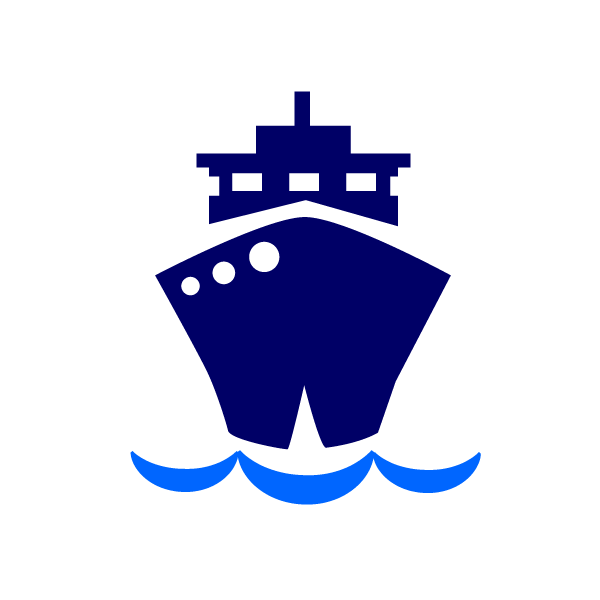 They have continued to pioneer, with their industry first “freestyle cruising”, offering passengers the freedom to dine where and when you want and freedom to dress as you please. 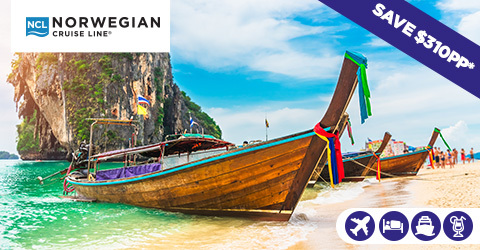 As well as a flexible attitude to cruising, Norwegian offer a number of options when it comes to accommodation. From comfortable inside staterooms to vast suites with stunning private gardens – the choice is yours on their fleet of 17 unique ships. You're sure to find one that's right for you, as you sail to some of the most interesting and exciting parts of the world. 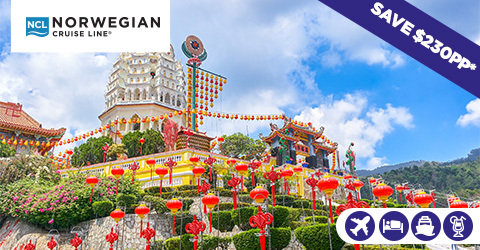 Everything from Caribbean sunshine to breath-taking Alaskan glaciers can be seen and experienced on a Norwegian cruise. 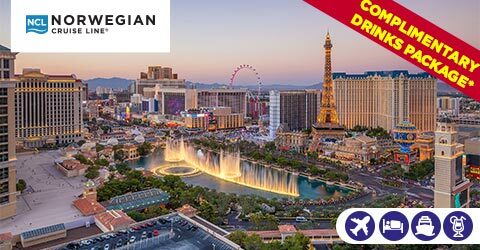 Cruise in style onboard Norwegian Spirit for 13 incredible nights with 14 delicious dining options, thrilling entertainment and more! Admire the breathtaking beauty of Israel's hills and valleys, as well as the eerie stillness of the Dead Sea. 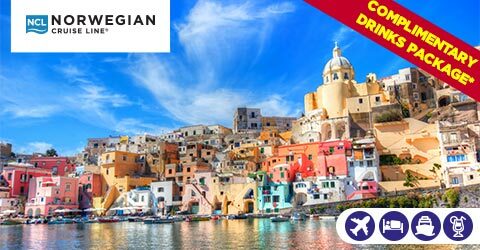 Cruise1st Exclusive cruise holiday onboard Norwegian Getaway from $3499pp, including a Drinks Package onboard! Explore the history and culture that London has to offer with your included hotel stay pre-cruise. 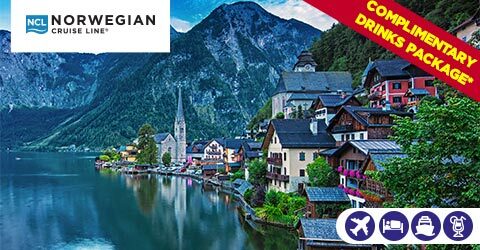 Cruise in style onboard Norwegian Spirit as you sail from Southampton through Norway, visiting Stavanger, Hammerfest, Flam and more! From thrilling entertainment to extraordinary dining options, there's something for everyone to enjoy. 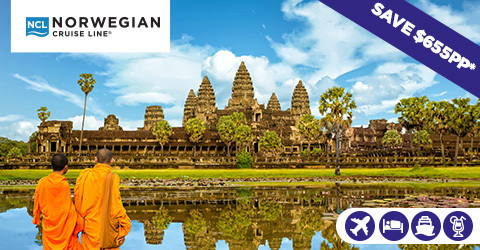 Includes return international flights and Free Drinks Package onboard! 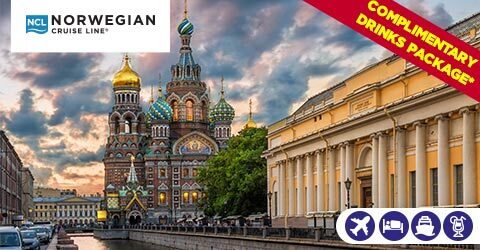 Cruise Northern Europe over 8 memorable nights at sea as you pass the likes of Germany, Poland, Russia and more! With Cruise1st, this freedom extends to your booking. 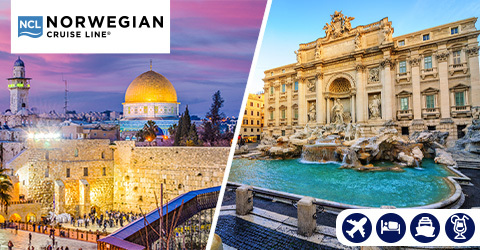 Choose from a wide variety of Norwegian Cruise Line cruises to find the one that's perfect for you. When you've selected your dream holiday, whether it's a round-trip tour of Australia or a Hawaiian adventure, you can book online at any time, on any day. Can't find exactly what you need? That's not a problem. 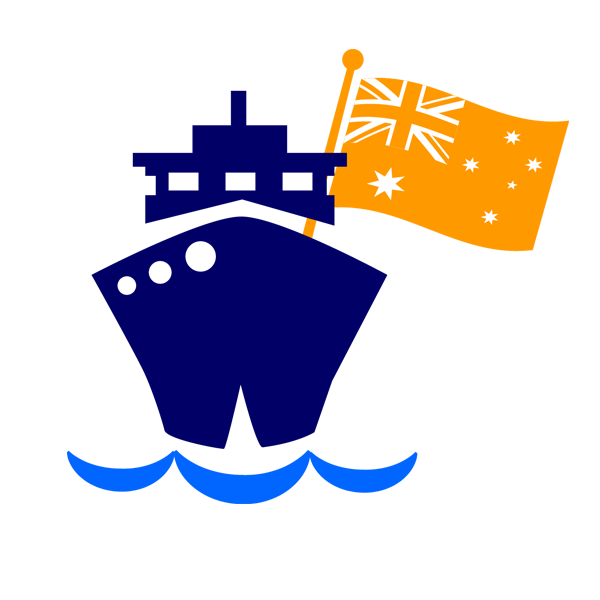 Our team of local cruise experts are on hand to offer any help, support, or advice you need. 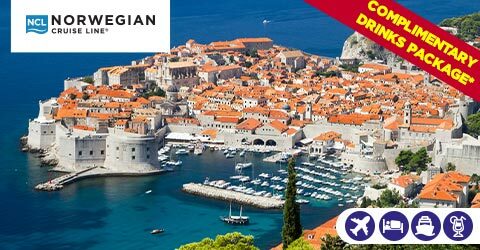 Check out our full range of discount Norwegian cruises on this page.